Make sure you have configured correct callback URL in your OAuth provider and configured all required information correctly. 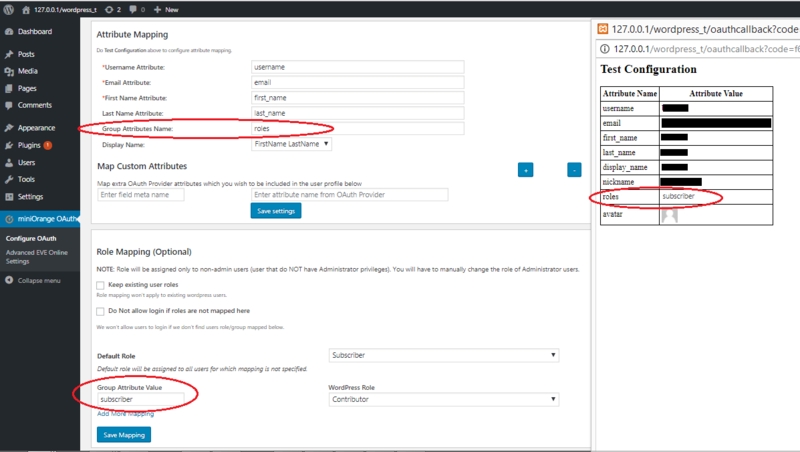 Click on “Test Configuration” and you will get the list of Attribute Names and Attribute Values. From Test Configuration window map Attribute Names with Attribute Names in Attribute Mapping section. Once Attribute Mapping is done, put Group Names values in front of WordPress role you want to assign in Role Mapping section. Note : To enable Role Mapping, you need map Group Name Attribute first.